At this stage of the game it’s most unlikely that you haven’t heard about TED (Technology, Entertainment, Design), the non-profit organisation dedicated to ideas that are worth spreading for the very reason that they may have the power to change attitudes or, ultimately, the world. Their slogan is, in fact, Ideas worth spreading. And, naturally, you will know what we’re talking about if we mention TED Talks, where the subjects discussed include science, the arts, politics, education, culture, technology and, of course, design. While this is a link to Bill Gates’ 13 favourite talks, the aim of this post is to discover the talks most favoured by designers. Some names appear highlighted in all the lists, and it’s hardly surprising. For example, Paul Bennett’s commitment to design that is capable of resolving the smallest, most overlooked, universal problems (2005); or or David Carson’s amusing chat about humour and design (2009); then there is the legendary Milton Glaser speaking about how to modernise ideas through design (2009); and, finally, critic Don Norman and his ideas on how design may lead to happiness (2009). A couple of weeks ago, Creative Blog presented a selection of what they consider to be the 10 most inspiring TED Talks with regard to the promotion of alternative ways of thinking through the world of design. Designmodo presented 15 chats that any web designer should be aware of. 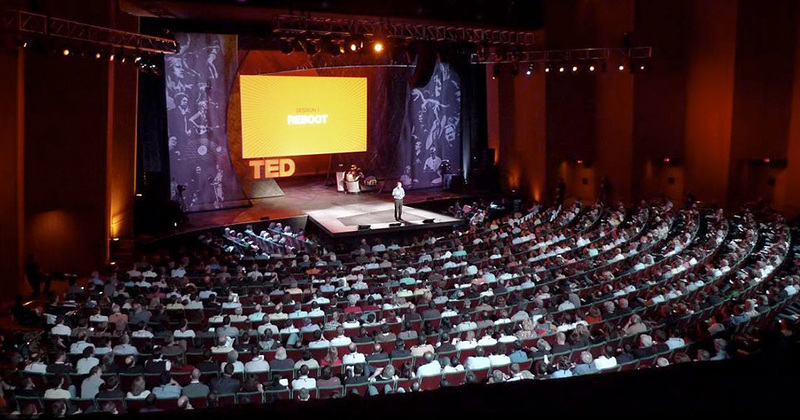 Tutsplus team argued that, in fact, there are 20 TED talks that any designer should be obliged to watch. And, finally, The Hope Factory reduced this figure to eight . There are many more useful lists to guide us towards design-specific talks, and we cannot fail to mention selections proposed by the TED Talks blog itself, for example “10 talks about the beauty, and difficulty of being creative, which are inspirational for anyone who is dedicated to creativity, whatever the field. Our aim for today, however, is to inaugurate a selection of chats by artists, designers and creators who, though they may be less well known, demonstrate just how important the TED slogan really is. Ideas must be spread, because some of them may change the world. Take, for example, the Roddy Edry story “Israel and Iran: a love story?”. Very exciting. If you know of any others, spread the word!